Recyclability, the availability of paper for recycling, and the improvement of the deinking process continue to be the three main areas of INGEDE’s work. In his opening address at the INGEDE Symposium in Munich, Thomas Krauthauf identified the higher diversity of printing technologies and new converting technologies as increasing challenges for the deinking industry. Especially the increase of UV printing is met by a more intense discussion with the stakeholders such as ink manufacturers on various occasions. Also the development of “mineral oil optimised inks” has to be monitored carefully as some vegetable oils, especially soybean oil, tend to polymerise and create problems in the deinking process. INGEDE faces the challenges also by improving and standardisation of test methods such as INGEDE Method 11, a standard for deinkability testing, and increasing involvement in ISO standardisation. Decreasing brightness due to water soluble inks and sticky contaminants coming from adhesive applications still challenge the deinkers. A serious problem is also the deliberate contamination of paper bales with dirt by some paper merchants. Recently, over a longer period of time, plastic particles coming from shredded waste had led to optical defects in paper and prints in some mills. After identification of the supplier, he now faces criminal charges. Working closer together is the best way to overcome many of these challenges. As an incentive for more cooperation, Krauthauf presented INGEDE’s new partnership program (see separate article). Partners from the paper chain who commit themselves to support deinking and the deinkability of printed products, can participate in technical discussions within INGEDE, and in return are asked to provide a financial contribution for project funding. How can printers, print customers, and publishers be educated to design their products more recycling friendly? An effective means is an ecolabel, some “soft legislation” to shepherd the willing into the right direction. Andrea Rimkus of RAL, the German competent body for ecolabelling, introduced the history and the new focus of the Blue Angels relevant for the paper and printing industry. In the future, RAL-UZ 195 will be the only Blue Angel for printed matter, with RAL-UZ 14 from 2019 being only applicable for recycled paper (14a) and products for office and school demand (14b). Recyclability and deinkability will continue to be a crucial condition for achieving the Blue Angel for printed products. Lack of deinkability is yet the characteristic feature of almost all UV-curable printing inks. Roland Schröder of hubergroup, combining 40 ink manufacturers internationally, called the current status “from hubergroup’s view not satisfactory”. 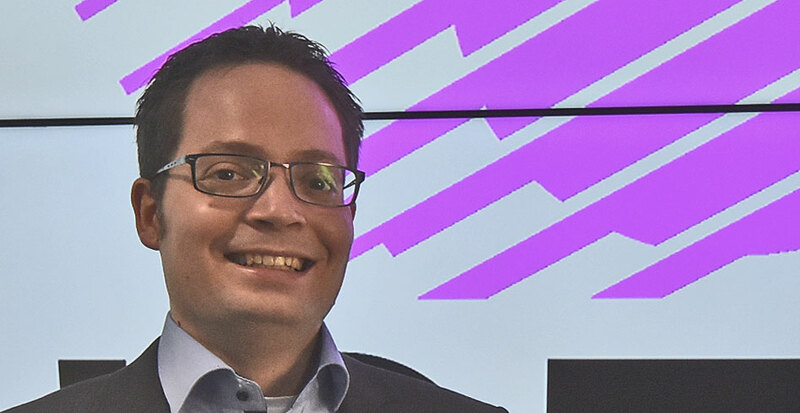 Despite a continuous growth of UV applications in all sectors of the printing industry, there is “too little pressure from outside” to support deinking and recycling – it is “not in the focus of brand owners and end customers”, Schröder said. He compared the search for an improvement with a 100-meter run, currently still within the first meters. 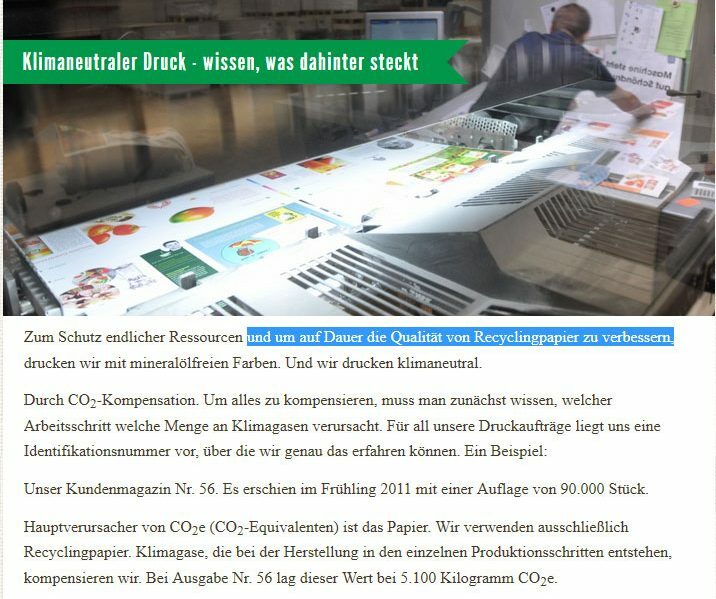 Axel Fischer of INGEDE complemented Schröder’s presentation with examples of problems created by prints with UV-cured inks – and of printers that advertise with false environmental claims, especially for “LE-UV” prints to be mineral oil free and therefore “green”. More ash, lower strength – can sorting and collection of paper be improved? The quality of paper is not only important for deinking grades, also the manufacturers of corrugated papers and board face the challenge to meet the rising demand at an acceptable quality, mainly for the increasing need for all kinds of packaging. The presentation of Andreas Faul (INGEDE’s Managing Director) dealt with a possible source for high quality paper for recycling – the fraction today known as mixed paper. How can, already by a more selective collection and sorting at the consumer, the yield be increased for the different grades, suitable for the different products? Here it is of some help to know the material flow: Where do the different fractions of paper for recycling end up that are so valuable for the different grades to be produced? Faul identified several trends to be considered when looking into the future of paper recycling, also for the production of board: There is a shift towards less graphic and more packaging papers from households. As the fraction of newspaper goes down, especially within the graphic paper, the ash levels increase. There is also an increasing amount of white top liners based on paper for recycling. All this leads to decreasing strength properties in mixed and packaging grades, with OCC (“Old Corrugated Containers”) being “not as strong as it used to be”, Faul stated. As a consequence, Faul sees sorting of paper for recycling to become less attractive, as there is a lower content of the fraction with the highest added value. In order to keep the desired qualities available, sorting efficiency might be improved, or already the collection: by partly substituting the separate paper and board collection by a selective collection of higher grades. Moving from a linear to a circular economy is the key to create a sustainable future. Recycling paper is common, but until now, paper hand towels have been an exception. 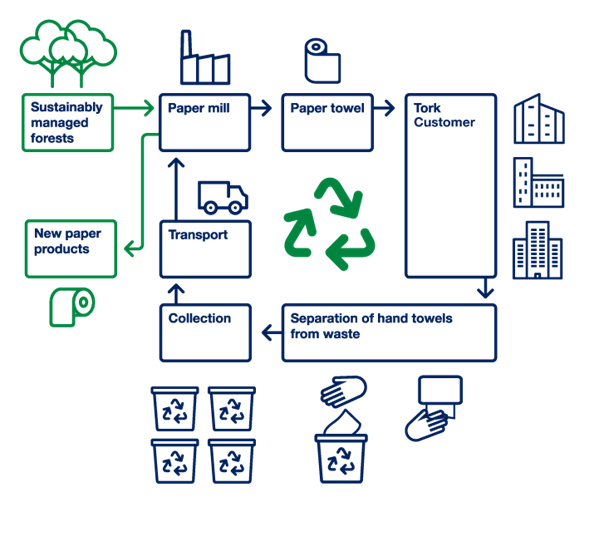 That’s why Essity and its brand Tork, have developed a unique service collecting used hand towels and recycling them locally into new tissue products. Sara Lundström presented how Essity intends to close the loop for what the tissue manufacturer puts on the market. Lundström wants to “lead the way toward more circularity in professional hygiene, while helping our customers deliver on key environmental targets such as waste reduction and carbon footprint reduction”. A major challenge has been to create a service that is hassle free and easy to participate in, as well as cost efficient, while still meeting the mill requirement of max 2% contaminations among the collected hand towels. This has been achieved by developing the service in close cooperation with customers, cleaning companies, recycling partners and Essity’s mills. A particular challenge is to educate washroom users to keep used hand towels separate from any other waste by additional bins and instructive signage. The concept has been honoured with the European Paper Recycling Award in 2017. Alle Vorträge des INGEDE-Symposiums können hier heruntergeladen werden! Die Arbeitsgruppe Rezyklierbarkeit widmet sich einem der drei Schwerpunkte in der Arbeit der INGEDE. 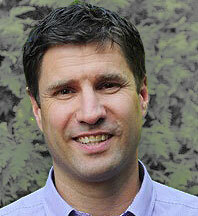 Als Vorsitzender der Arbeitsgruppe folgt Dr. Dennis Voß (Perlen Papier, Schweiz) jetzt auf Peter Hengesbach (Stora Enso Research, Mönchengladbach), und nimmt damit gleichzeitig dessen Platz im INGEDE-Vorstand ein. Voß (34) schloss sein Studium an der TU Darmstadt 2012 mit der Promotion ab, begann zunächst in der Papierfabrik Utzenstorf (Schweiz) und wechselte nach der Schließung des Werkes als Leiter Halbstoffe zu Perlen Papier. Weiterhin wählte die Mitglieder­versammlung der INGEDE Anfang März Dirk Schwarze (49) in den INGEDE-Vorstand. Schwarze begann seine Laufbahn nach dem Studienabschluss als Papieringenieur in München 1994 bei Stora Reisholz. Fünf Jahre später wechselte er zu Lang Papier in Ettringen, damals Teil der Myllykoski-Gruppe. Es folgten weitere Positionen innerhalb der Gruppe, so bei Rhein-Papier und MD Plattling. Seit 2007 arbeitet er für die Stora Enso Sachsen GmbH in Eilenburg, wo er im April 2016 zum Geschäftsführer ernannt wurde. Als Vorstandsmitglieder bestätigte die Mitgliederversammlung Dr. Volker Gehr (Steinbeis Papier), Manfred Geistbeck (UPM), Anne-Katrin Klar (Essity), Dr. Thomas Krauthauf (UPM), Dr. Johann Oberndorfer (UPM) und Christian Schürmann (Leipa). Der Vorstand bestätigte außerdem Dr. Thomas Krauthauf als Vorsitzenden und Dr. Volker Gehr als stellvertretenden Vorsitzenden der INGEDE. Die INGEDE dankt Thomas Reibelt, der mit seinem Ausscheiden bei Norske Skog Bruck auch den INGEDE-Vorstand verließ, und Peter Hengesbach für die langjährige Leitung der Arbeitsgruppe Rezyklierbarkeit.